While in Beijing, don't miss out on Beijing Palace Museum (The Forbidden City) or Private Tour to Beijing Palace Museum! Stay connected with friends and family upon your arrival in China, update social media, contact local tourist services, get in touch with your hotel and more with a 4G WiFi giving you Internet access across China. Enjoy 1GB of 4G LTE high-speed network per day and connect up to five devices to the same network. 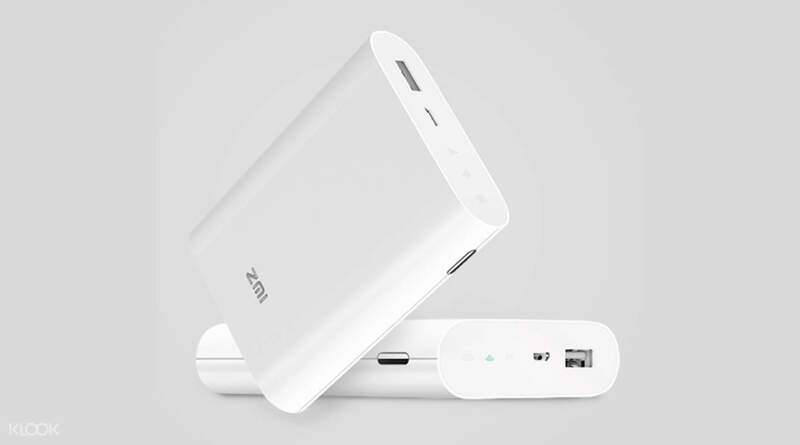 You will get 12 hours of use on just one charge and the device only weighs about 200 grams, which makes it very portable. The best thing is that you get to pick up your 4G WiFi device before you even arrive in China — at one of Taiwan’s main airports. It's easy to use, but after it's fully charged, it can be used for a long time. Counter service 0530-0100, people close. The only question is how to get an invoice? 好用，充飽電後，可以用很久。櫃檯服務0530-0100，人員親近。唯一問題是要如何索取發票?